Christianity Today magazine recently listed the best books for the leader’s inner life. 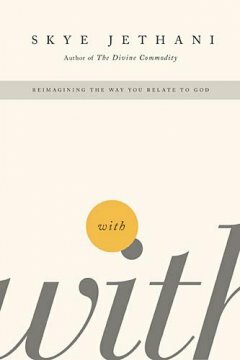 With, Reimaging the Way You Relate to God by Skye Jethani was on that short list. I read a majority of the book while on a three day study leave at a Trappist monastery in Iowa. What a great book with which to have retreated! It’s at the top of my list of books that have impacted my walk with Christ and my ministry. Jethani creatively uses five prepositions to explain the different ways we position ourselves with God, four that aren’t good as the ultimate positions from which to relate to God and one that is. As Jethani explains it LIFE UNDER GOD is when I fear I’ve not been good enough or done well enough to be the recipient of God’s blessings, either for myself or for my church. I’m always wondering if I’m measuring up, and I never do. If, for some strange reason, I think I’m doing quite well with God, then I begin to believe God owes me, and I’m disappointed or angry when God doesn’t bless as I think He should. I see myself living LIFE OVER GOD when I believe that if I do things right that God will bless. If I lead my church toward being a church that exhibits the Biblical church growth principles of a what church should be then I can expect it to be a growing and thriving church, guaranteed! I use His Word as a manual on how to do things right. When I’m living from the perspective of LIFE FROM GOD I’m operating under the assumption that if I just have enough faith then God will bless the way I imagine He should. If I believe that God is really a big God then I’m going to see really big results, every time. 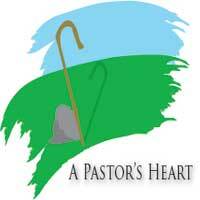 LIFE FOR GOD is the perspective, I believe, that sincere disciples of Jesus focus on most, including sincere pastors. We want to serve God, to carry out His purposes for us. Obedience is good, but it easily becomes something of a duty, even a drudgery. All of these four perspectives have some elements of truth to them, they just make for a lousy ultimate perspective. Our ultimate perspective is to be LIFE WITH GOD. The goals of the other perspectives are to, in some way, use God, that God is a means to an end. LIFE WITH GOD makes God Himself the goal! It’s painful for me to reflect on how frequently I’ve focused on the four less-than-ideal positions in my own walk with Christ and how often I’ve sought to move my parishoners into one or more of these positions. I’ve renewed my commitment to have a LIFE WITH GOD. Everything else falls into its proper place when I live from this perspective. If I could recommend one book I’ve read in the last couple of years this would be it. More than anything else, more than any other perspective from which I could live, I want to live a LIFE WITH GOD! Jethani’s book reminded me of that. Thanks for the review. I have not read this yet, but the book is now on my read list. Hope that the retreat went well. God bless!